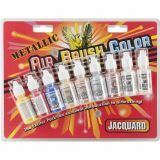 Jacquard Metallic Airbrush Color Pack .5oz 9/Pkg - JACQUARD-Metallic Airbrush Color Exciter Pack. 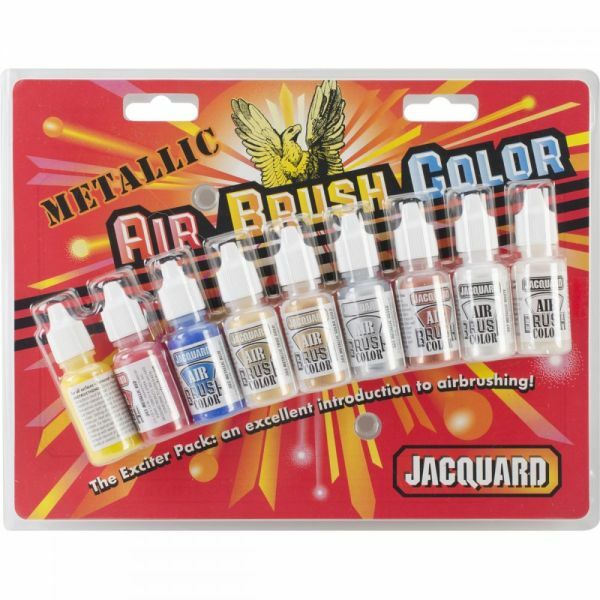 This package contains 8 beautiful metallic colors plus 1 bottle of clear varnish, all formulated for airbrushing! The colors are intermixable and clean up with water. Use them on fabric, leather, wood, plastic, and metal. Each bottle contains 0.5 ounce. Conforms to ASTM D4236. Made in USA.